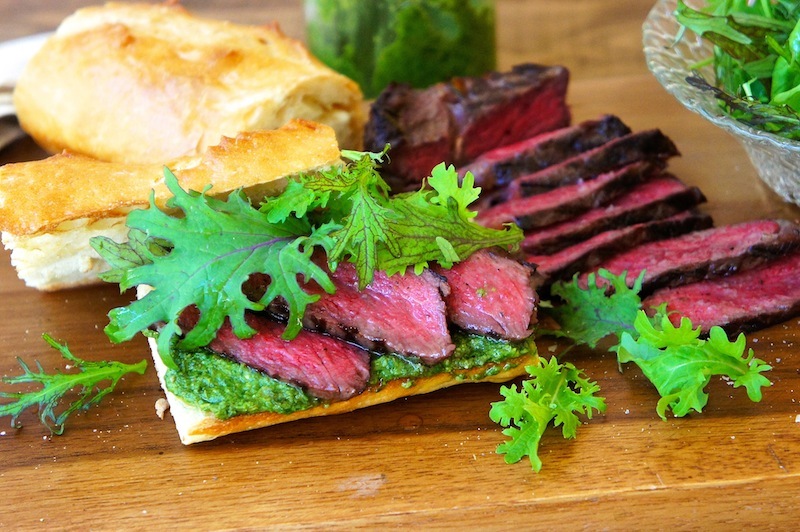 Using the Pesto sauce which I made earlier, I prepared this quick and easy succulent Steak Sandwich with Pesto for lunch over the weekend. I topped it with a generous mixture of spicy greens and my family loved it. In a pestle mortar or a food processor, coarsely pound or process together the rosemary leaves, garlic, and sea salt. Add in some olive oil, black pepper, and whisk well. Rub the marinade into the meat and refrigerate for two hours. Remove the meat from the refrigerator 30 minutes before cooking. Heat a large griddle cast-iron over medium-high heat until hot. Sear the meat on both sides and continue to cook in the oven, about 4 minutes per side, or cooked to your desired doneness. Remove the steak from the oven, top with a little butter, and let it rest for 5 minutes, cut into thin slices and serve immediately. Assemble the sandwich: Split the baguette in half and lightly toast in the oven. 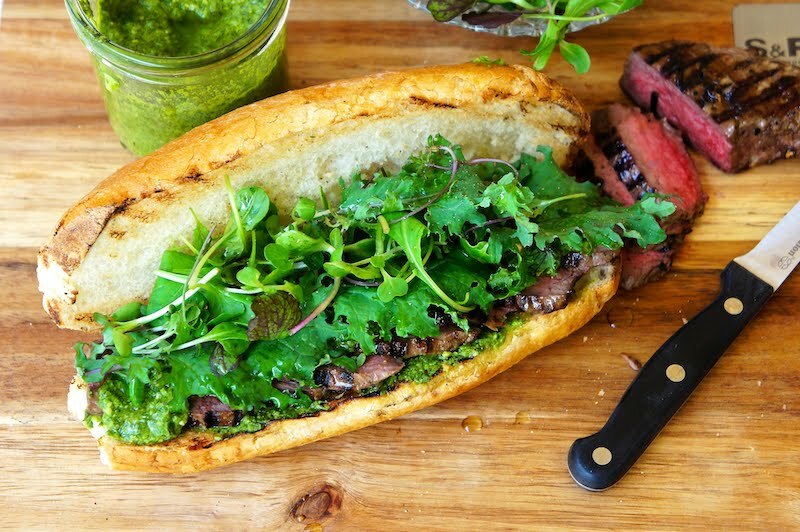 (Do this while the meat is resting) Spread some pesto on the baguette, steak slices and then the mixed greens.